Complete Facility Maintenance from LES Facility Service - Lloyd's Electric Service, Inc. Facility maintenance should never be an afterthought. Because having a preventive facility maintenance program from LES Facility Service in place, keeps your plant or factory up to speed. So What IS a Complete Maintenance agreement? A complete maintenance agreement with LES Facility Service, a division of Lloyd’s Electric Service, Inc., includes everything, not just office cleaning and lawn care service. Some companies offer HVAC maintenance and electrical services, while others offer general office cleaning and facility maintenance. LES Facility does it all eliminating the need for multiple companies visiting your facility. Remember, the more people who have access, the more chance you have of losing control. Why LES Facility Service for Facility Maintenance? 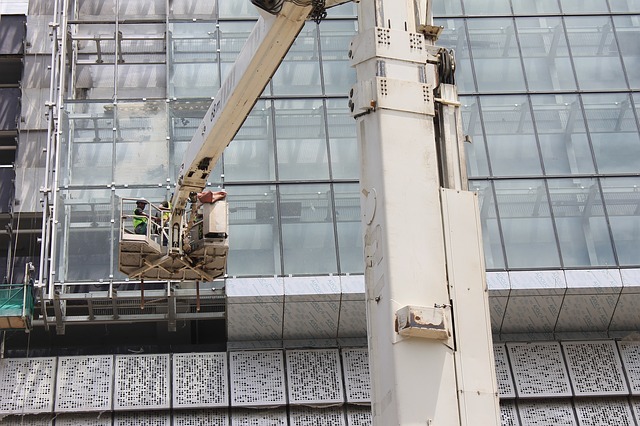 Landscaping services take place during working hours, but access will be required for facility maintenance conducted when the plant or factory is closed. Having more than one company for ongoing maintenance puts you at risk. How many keys and pass codes will you have to give out? How many people will know your alarm password? With LES Facility, you won’t have multiple companies coming and going as they please. All scheduled maintenance, including office cleaning, lawn care service and HVAC maintenance is with one company, LES Facility Service. With a preventive maintenance agreement from LES Facility Service, your equipment will be safe. During routine inspections, safety and reliability is checked on all machinery, including your assembly line maintenance. Any problems detected are noted for repair or replacement. For HVAC maintenance, office cleaning, electrical, painting, plumbing, lawn care service, lighting, and of course, on call solutions, LES Facility is here to help. Call for more information regarding facility maintenance with LES Facility Service. With ongoing maintenance, you will prevent the preventable from occurring. Call for a affordable quote today with LES Facility Service now.